Run by Carol Duval-Leroy since 1991, the House, is one of the last family-run companies in the Champagne region, has more than 200Ha of vineyards under management. Duval-Leroy, ranked among the top ten Champagne Houses, is internationally recognized for its consistency of style and quality. 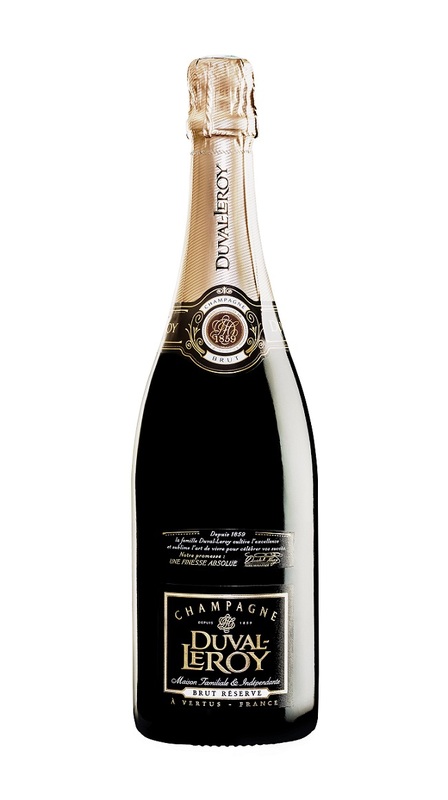 This Duval-LeRoy champagne scores TOP 100 of 2006 Wine Spectator - Rank 41st 93 points by Wine Spectator as well as The Decanter World Wine Awards 2007/08: SILVER MEDAL is a combination of Pinot Noir, Pinot Meunier & Chardonnay grapes and 12% of alcohol. 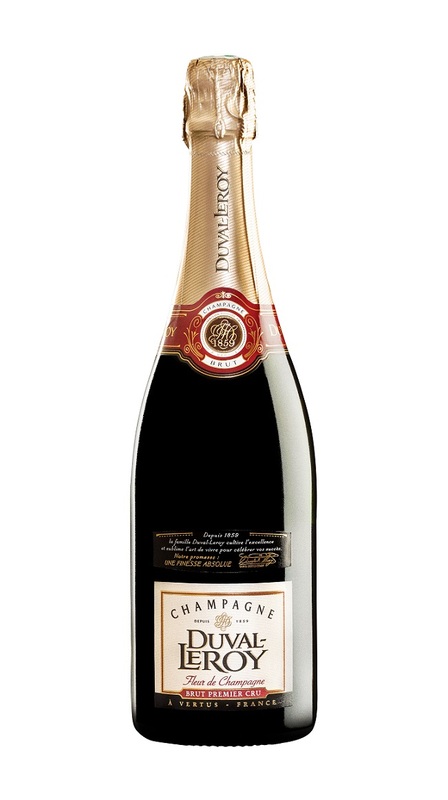 This champagne is ideal as an aperitif wine, it also provides a subtle accompaniment to white meats and best serve at 8℃. Alcoholic fermentation in stainless steel tanks under temperature control between 16 and 20. Malo-lactic fermentation done. Providing a perfect balance between finesse and power, it draws out flavours of dark chocolate, cinnamon and roasted yellow figs, expressing its subtle, melt-in-the-mouth vinosity. It was the only Champagne recognised by Wine Spectator magazine in its Top 100 classification for 2008. The Duval-LeRoy Fleur de Champagne Premier Cru Champagne is a combination of Chardonnay and Pinot Noir grapes from Premier Cru and Grand Cru with a 12% of alcohol. Match it with a pineapple carpaccio and roast langoutines and best serve at 8℃. Elegant and well-structured, it is veiled with fine, satiny bubbles. Bringing together a long, well-balanced taste and a cultivated, distinguished character, this champagne is a harmonious prelude to a delicious meal. Derived from a lively cuvee, a lofty, fragrant source with a hint of minerals, it will capture the memories of shared emotions for a very long time.